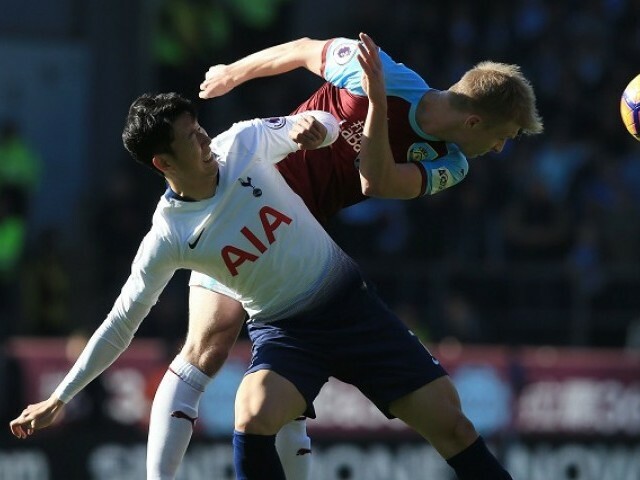 LONDON: Tottenham’s Premier League title challenge suffered a crushing blow as Ashley Barnes’ late strike sealed a shock 2-1 win for Burnley that ruined Harry Kane’s goal-scoring return on Saturday. Mauricio Pochettino’s side would have moved within two points of leaders Manchester City with a win at Turf Moor. There was controversy about Wood’s goal as it came from a corner that Tottenham felt shouldn’t have been given. But Pochettino’s men had a break of their own when Kane, back after missing seven games with an ankle injury, capitalised on a throw-in that was taken in the wrong place. However, they paid the price for sloppy defending as Barnes struck with seven minutes left to extend Burnley’s unbeaten league run to eight matches. Pochettino was fuming at full-time, confronting referee Mike Dean and his assistants on the pitch in a lengthy rant that showed his frustration at both Burnley’s first goal and Tottenham’s missed opportunity. Pochettino knew his team had no margin for error if they wanted to stayed in contention and, as games against Chelsea and Arsenal loom next week, he billed the trip to Turf Moor as a “final”. But Tottenham were struggling to build the head of steam required to break down the well-marshalled Clarets’ rearguard. Moments later, Pochettino was fuming on the touchline as Burnley snatched the lead with Wood’s seventh goal in his last 10 games in the 57th minute. From Ashley Westwood’s corner, Tottenham went to sleep as Wood timed his run to climb above the statuesque Juan Foyth and Toby Alderweireld. The New Zealand striker’s powerful header hit the crossbar and bounced over the line before Tottenham goalkeeper Hugo Lloris could react. Pochettino complained bitterly to the fourth official, but the Argentine’s protests were quelled as Tottenham grabbed a controversial goal of their own eight minutes later.